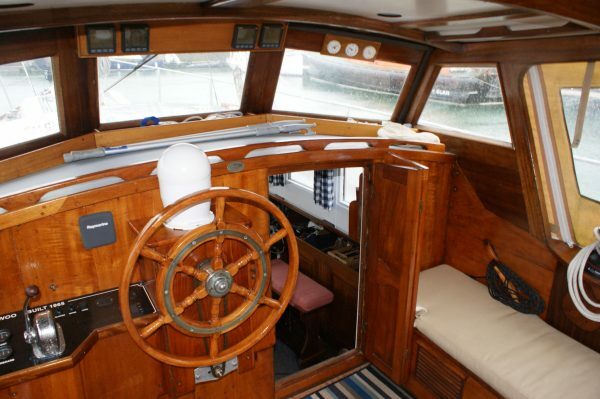 At 20 Thames Tons this is one the larger boats in the Hillyard range yet she keeps the same design format of a centre cockpit, aft cabin, large saloon and further sleeping accommodation forward. 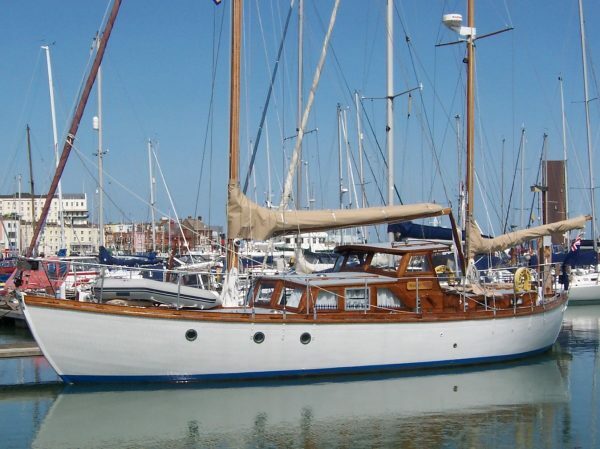 Built in 1965 at Littlehampton. 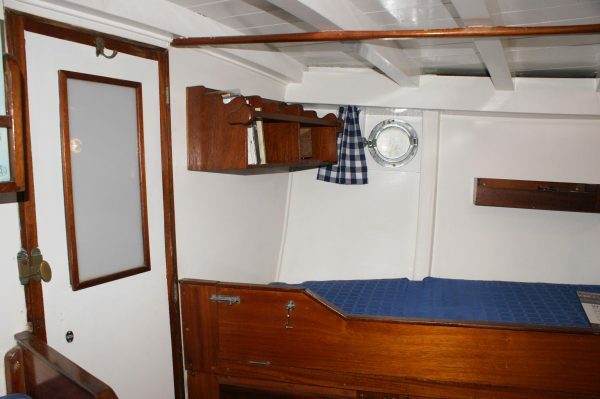 This was the fourth Hillyard built for the original owner and he specified some significant improvements on the standard build including teak for the bright work instead of mahogany, perhaps the only post war Hillyard to have this, improved interior joinery and a taller rig for better performance. 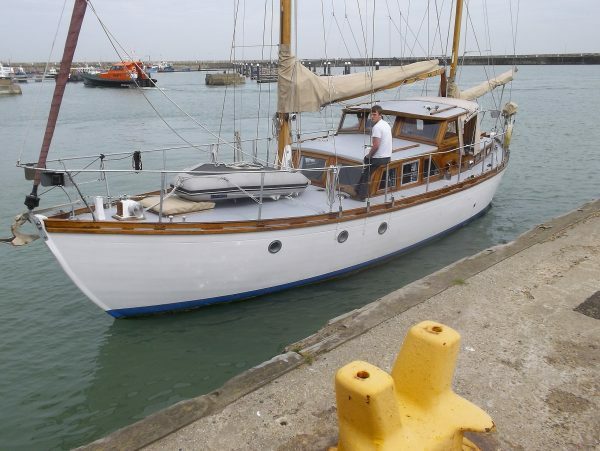 Given a major refit in previous ownership between 2011 and 2015 including new rigging and sails, new engine, complete cosmetic refit and all new equipment. 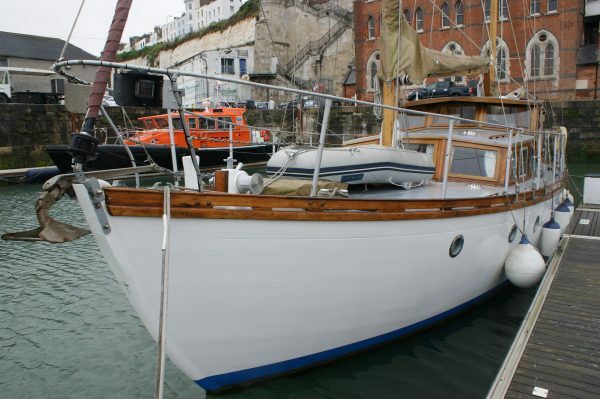 Since 2016 she has been used as a live aboard and unfortunately the boat has been let go in terms of maintenance during this time. 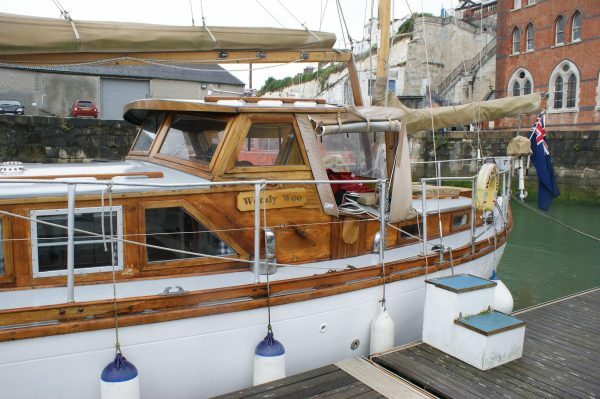 She is now in need of fresh enthusiasm to get her back out sailing. 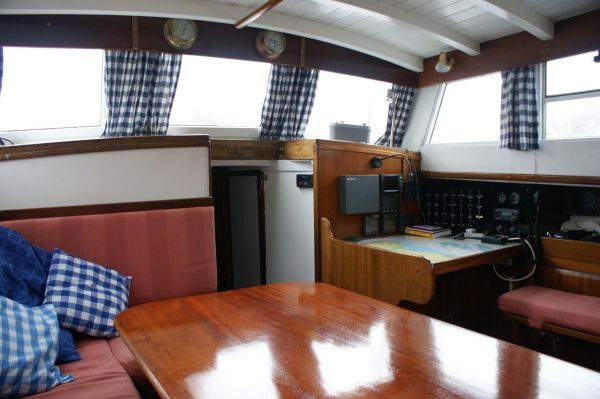 She has a superb sheltered cockpit, not as deep as most Hillyards but very comfortable making her a safe sea boat and a deck saloon with all round visibility and comfortable seating. 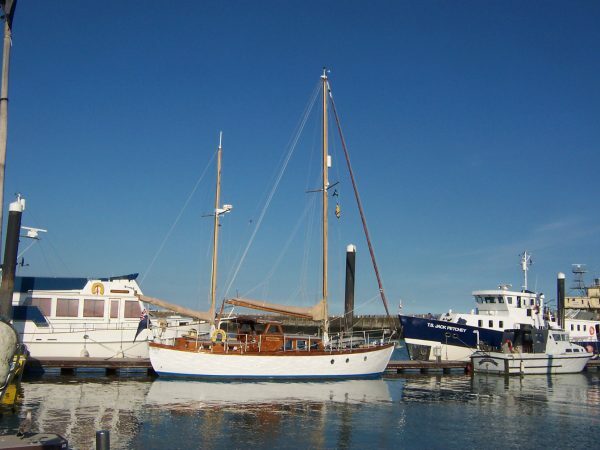 The ketch rig is easily handled by a small crew and the addition of modern winches and roller furling head sails make life very easy at sea. 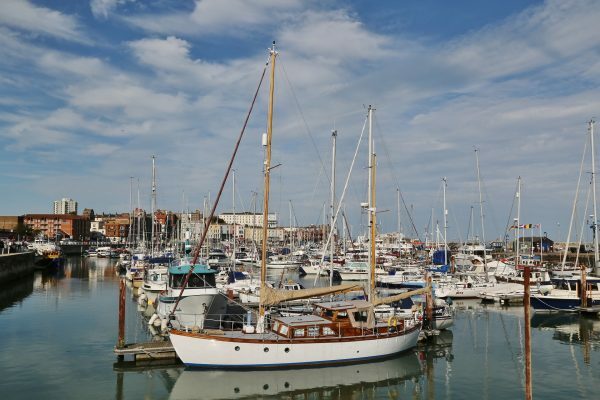 There are so many features on this boat which make her the ideal cruising yacht which shows that David Hillyard was a very clever yacht designer who was forging ahead in the industry and laying down markers that would last for many years. Planked in mahogany all copper fastened to sawn oak frames with steamed intermediate oak timbers. Oak backbone and grown oak floors. T&G pine decks overlaid with cascover sheathing. 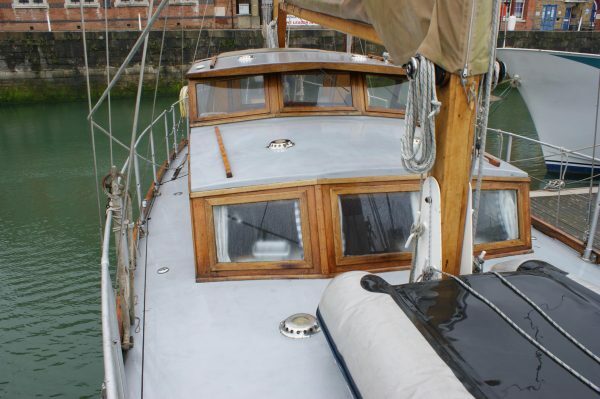 All varnished teak coamings, better quality than the average Hillyard. 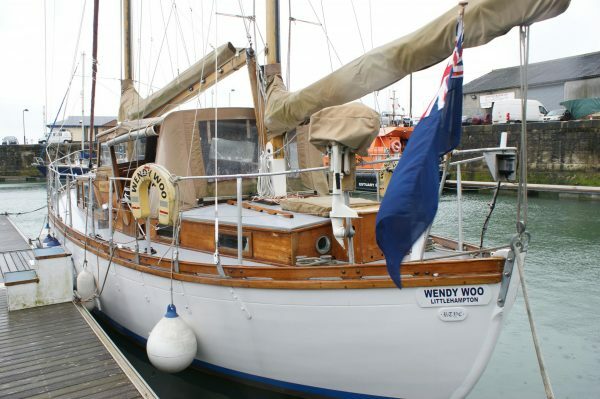 Bermudan ketch rig on hollow built spruce masts, re-glued in 2012. Stainless steel standing rigging new 2012. 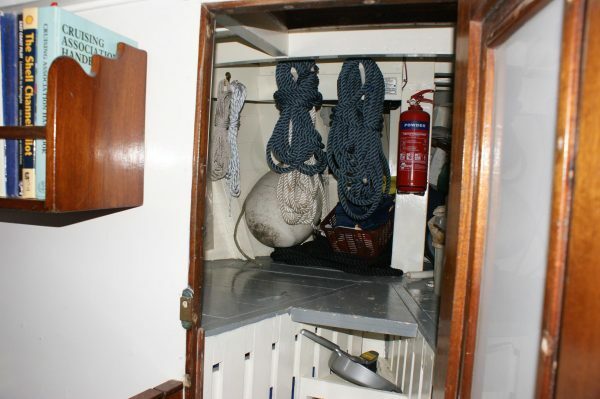 Harken roller furling headsail and Harken self tailing winches at the mast and in the cockpit. 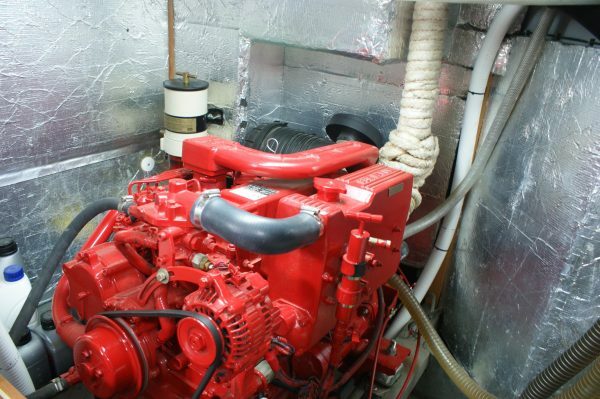 Beta marine 75hp diesel installed new in 2012. 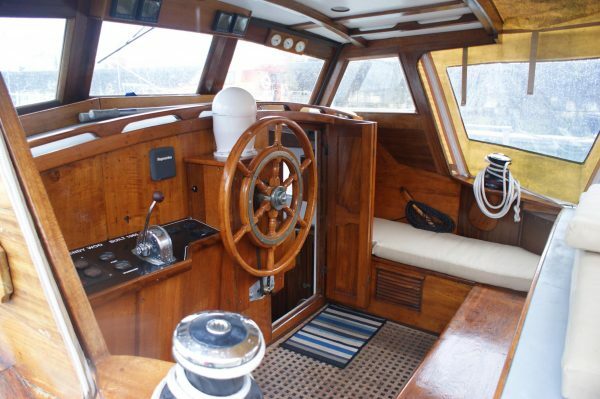 Centreline fixed 4 blade propeller gives 8 knots cruising speed. 4 x 12 volt batteries for starting and domestics. Charged from twin alternators. 3.5kva inverter providing 240v. Eberspacher diesel fired hot air cabin heating system. 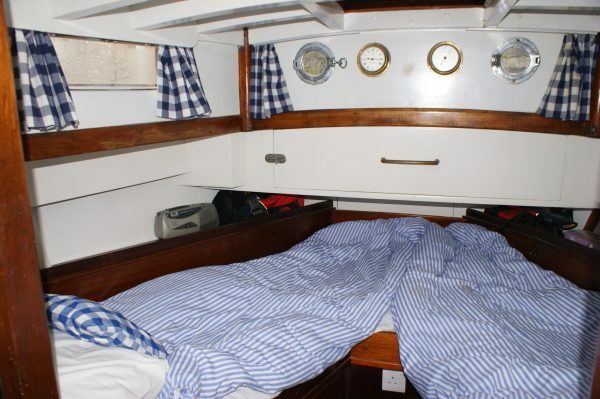 6 good sized berths in 2 sleeping cabins. 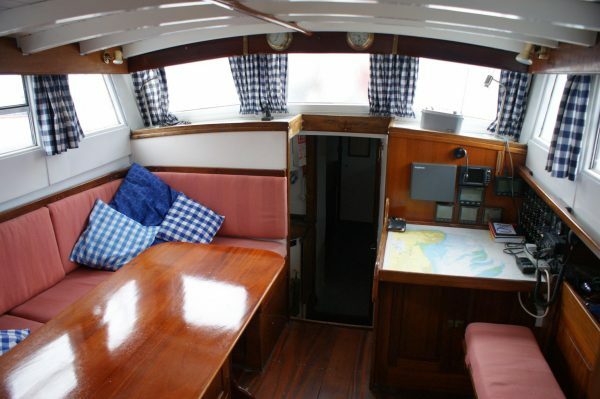 6’4″ headroom throughout most of the boat. 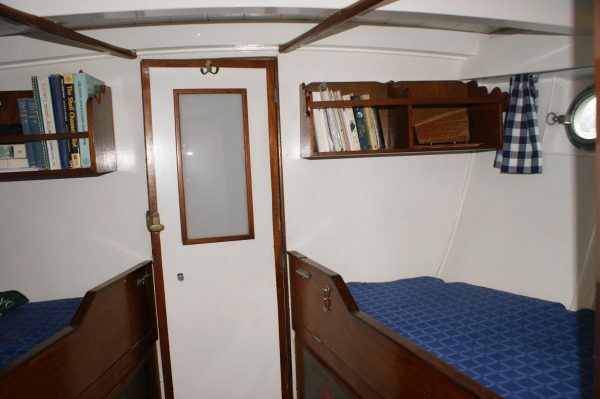 Forward cabin with two single berths. 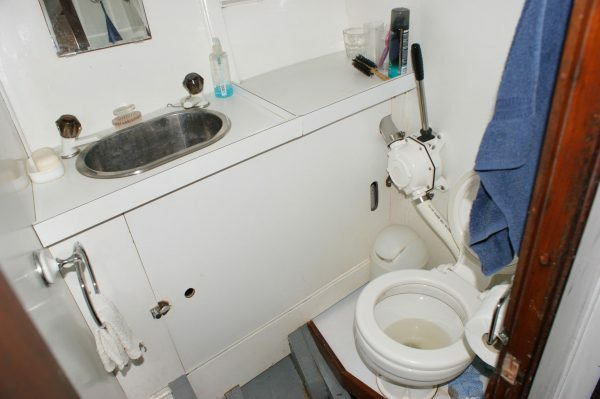 Fore peak with single berth if required and stowage space. 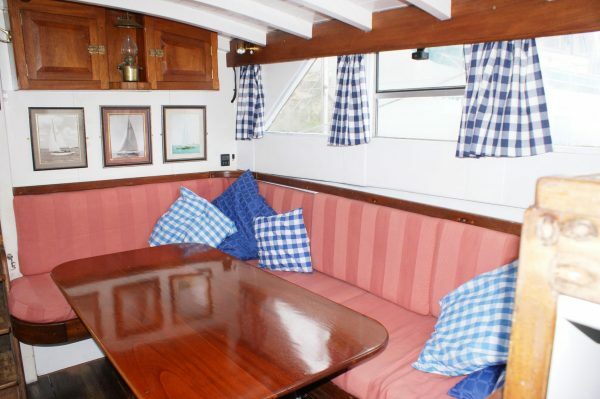 Large deck saloon with good all round visibility and large table. 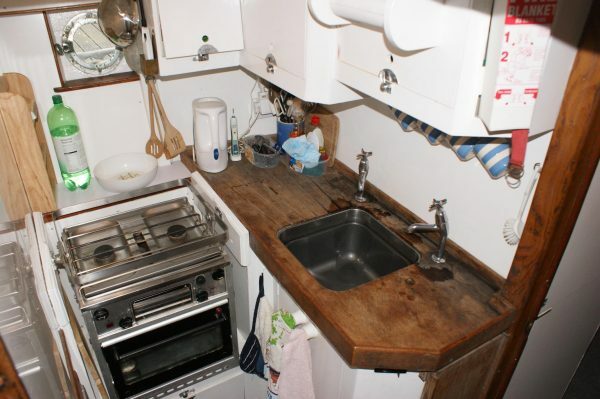 Galley with Taylors gas stove and plenty of storage cupboards. 30 fathoms 12mm chain, regalvanised 2012. 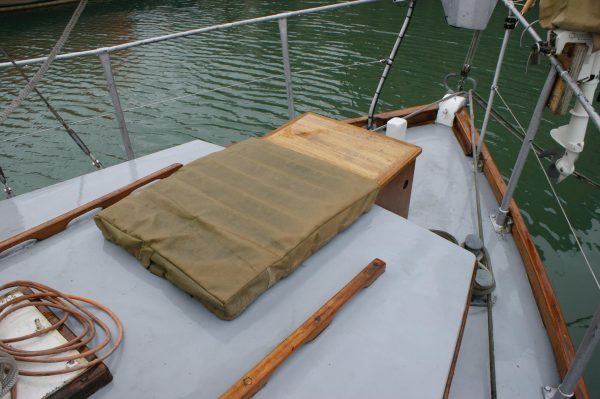 Sail covers. 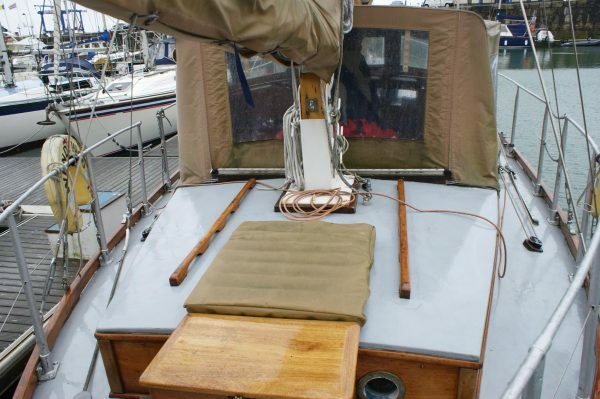 Mizzen cover new. 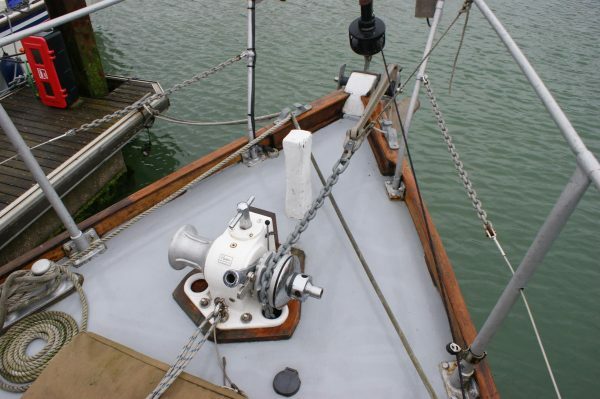 New hatch covers fore and aft, anchor winch cover.